Touch football and flag football can be played at the North Meadow from mid-September through mid-November. Permits are required and cleats are prohibited. 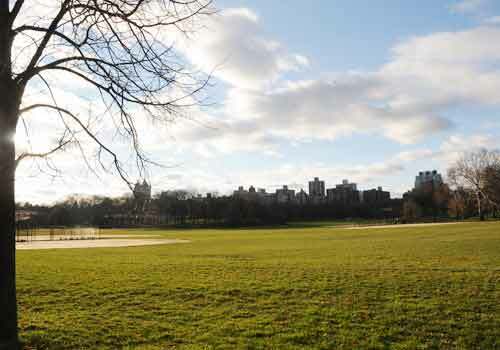 NYC Parks issues permits to leagues, teams and other groups to reserve specific athletic fields at specific times. The public can obtain athletic field permits for a session on one of the fields by submitting an application to the permit office. For more information call 212.408.0226.